Windows 10 comes with many improvements, and one of those improvements is related to Xbox. As you know Windows 10 comes with Xbox app, but it seems that some users can’t sign in to their Xbox account on Windows 10. When trying to sign in users are greeted with “We are unable to sign you in at the moment. Try again later” (0x409) message, so their Xbox app is basically useless. If you’re a gamer, this can be a big problem, but there are few solutions that you might want to try. Xbox app Windows 10 can’t sign in – This is a relatively common problem with Xbox app on Windows 10, but you should be able to fix the problem using one of our solutions. 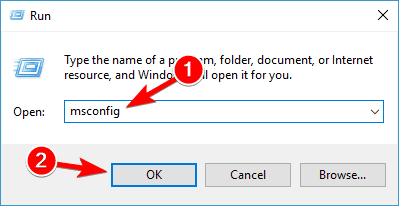 Can’t sign into Xbox app Windows 10 0x409 – Another common problem that can prevent you from signing in to Xbox app is error 0x409. However, you should be able to fix this issue by reinstalling your Xbox application. 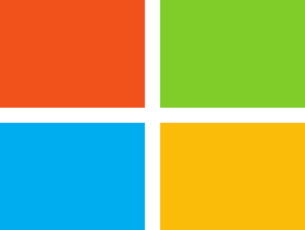 Xbox app Windows 10 won’t open – Many users reported that they are unable to use their Xbox app at all. We covered a similar issue in our Xbox app won’t open article, so be sure to check it out for more solutions. Xbox Windows 10 not working – Several users reported that Xbox application isn’t working at all on their PC. To fix this issue, be sure to check if necessary Xbox services are running. 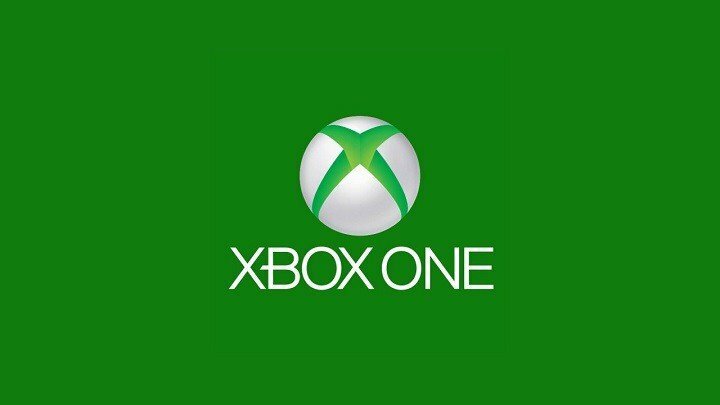 Xbox Windows 10 login error – This is another common problem with Xbox app. To fix the issue, you might have to create a new user account and check if the Xbox app works on it. Xbox account Windows 10 error 0xbba, 0x3fb – Sometimes you might encounter 0xbba or 0x3fb error while trying to run Xbox app. These errors can be annoying, but you should be able to fix them using one of our solutions. In the Search bar type services. Select the Services from the list of results. 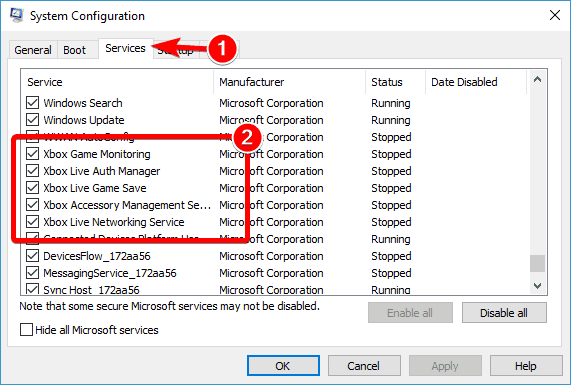 Scroll to the bottom and find the following services: Xbox Live Auth Manager, Xbox Live Game Save, Xbox Live Networking Service. You’ll have to repeat this process for each of the services listed above. Right click the service and select Properties. Find Startup type section and make sure it’s set to Automatic. 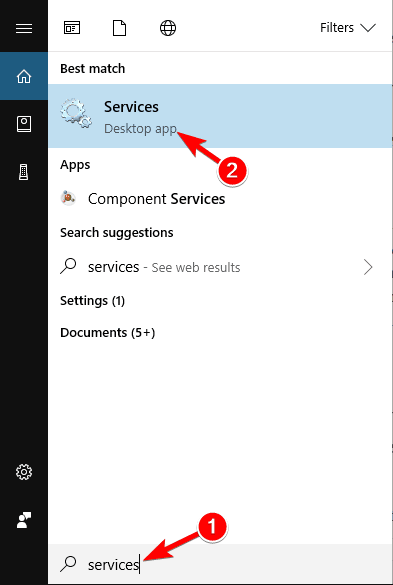 If the service isn’t started, click Start to start the services. Click Apply and OK to save changes. After you’ve done all of that, your Xbox app should be working. If there are Accounts and Cache folders available make sure that you delete them. After removing the cache, try to start Xbox app again. 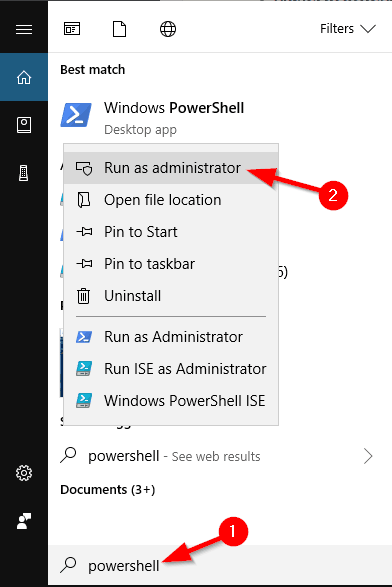 Open PowerShell as administrator. You can do this by searching for powershell in the Search bar and right clicking the PowerShell in the list of results. Then just select Run as administrator from the menu and that’s it. Press Windows Key + X to open Win + X menu. Select Command Prompt (Admin) from the list. If Command Prompt isn’t available, you can also use PowerShell (Admin). Once the Command Prompt starts, run the REG ADD HKLM\SYSTEM\CurrentControlSet\Services\XblAuthManager /v SvcHostSplitDisable /t REG_DWORD /d 1 /f command. After running this command, restart your PC and check if the problem still persists. 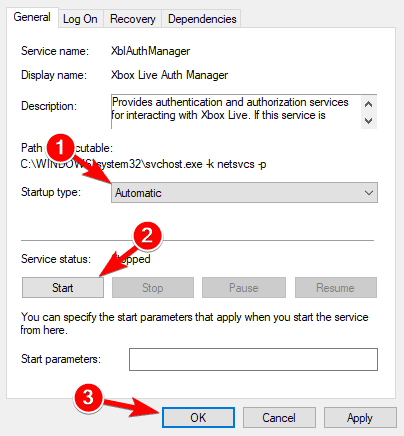 Go to Services tab and make sure that all Xbox services are checked. After checking all Xbox services, save changes. Now you just need to restart your PC and check if the issue still persists. Sometimes the simplest solutions are the best, and if you’re unable to sign in to Xbox account, you might be able to temporarily fix this problem by restarting your PC. According to users, this is just a temporary solution, but if you need to quickly fix the problem, you might want to try it out. Many users reported that PC restart fixed the problem for them, so be sure to try it. Windows 10 is a solid operating system, but sometimes certain bugs and issues can appear. If you’re unable to sign in to Xbox account on your PC, you might be able to solve that by installing the latest updates. Windows will now check for available updates and download them in the background. Once the updates are installed, check if the issue still persists. Several users reported that updating their Windows fixed the problem for them, so be sure to try that. In addition to updating Windows, be sure to update Xbox app as well. Users that have ultrawide monitors might not be able to sign in to Xbox account due to third-party applications. According to users, applications such as LG Screen Split App can cause this problem to appear on your PC. To fix the issue, you just have to disable this application and the problem should be resolved. Keep in mind that other applications that are related to your display can also cause this problem to appear. Another application that is related to this problem is Wacom, and in order to fix the problem, you’ll have to remove it. There are several ways to uninstall an application, but if you want to completely remove it, we advise you to use an uninstaller application. Applications such as IOBit Uninstaller (free) and Ashampoo Uninstaller can easily remove any application from your PC, so be sure to try them out. According to users, sometimes dual monitors can cause this issue to appear. If you are unable to sign in to Xbox account on your PC, you need to disconnect your second monitor before you start the Xbox app. After doing that, start the application again and then connect your second monitor. This is just a workaround, but it works according to users, so if you’re using a dual monitor setup, be sure to try this solution. 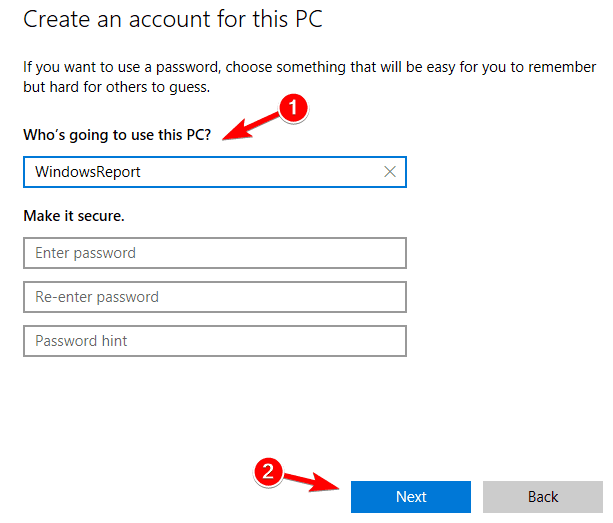 If you are unable to sign in to Xbox account on your Windows PC, you might be able to fix the problem by starting the application from an administrator account. According to users, the application needs an administrator account in order to initialize properly. Go to Family & other people section and then click on Add someone else to this PC. Click I don’t have this person’s sign-in information. Now click Add a user without a Microsoft account. After creating a new account, switch to it and check if the issue appears on the new account. According to users, this simple solution worked for them, so you might want to try it out. That’s about it, I hope at least one of these solutions helped you with your Xbox login issue in Windows 10. If you have any questions or comments, just let us know in the comments below.